Most new batteries contain 1.5V of energy when first bought. The problem is that many devices stop functioning at around the 1.3V mark. Batteriser uses micro-circuitry that lets you instantly tap into the 80% energy that is usually thrown away. 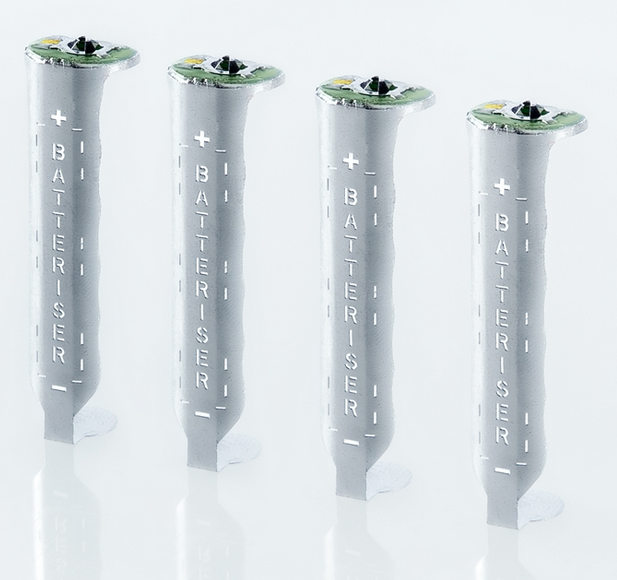 Batterisers are reusable on new and most “used” batteries and will be available in AA, AAA, C, & D variations.